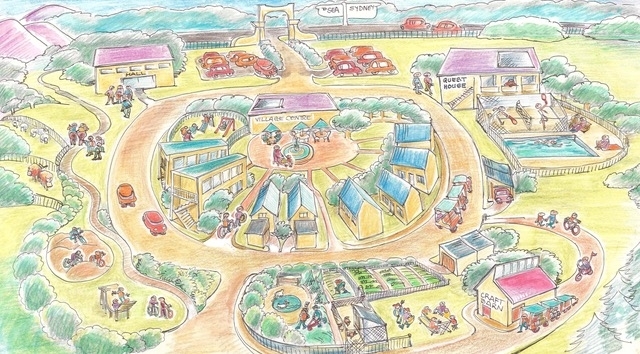 To research, design and build a stylish, intergenerational, friendly demonstration Ecovillage at Narara, blending the principles of ecological and social sustainability, good health, business, caring and other options that can evolve for our well-being. 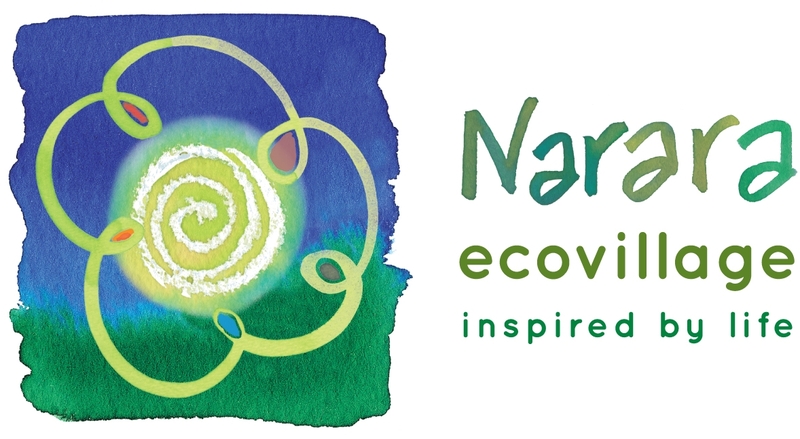 At Narara Ecovillage, we give attention and energy to triple bottom line aspirations: social, economic and environmental sustainability. We aim to build a thriving diverse community of 300+ people of all ages. The layout will encourage neighbourly interaction while respecting people’s privacy – we will have a strong sense of belonging. We have adopted a form of governance called Sociocracy, which underpins the way we run the village and make decisions. At the macro level, many developments stall because financial institutions have numerous and often insurmountable, hurdles for them to jump. Narara Ecovillage is funded by community loans and progress payments as member’s make their purchase. At the micro level, we aspire to having on site vibrant and entrepreneurial business activities that both individuals and the community run. For example, in areas like education, accommodation and food. We aspire to live in harmony with nature, preserving natural habitats on village land and building homes with minimal environmental impact. We will live in harmony with nature, preserving natural habitats on village land and build a home with minimal environmental impact which considers orientation, thermal mass, planting for privacy and temperature control, insulation, energy efficiency and environmentally friendly materials, as well as eco-friendly water supply, power, drainage, garbage disposal and recycling. We aim to build a thriving diverse community of 300+ people of all ages. The layout will encourage neighbourly interaction while respecting people’s privacy – we will have a strong sense of belonging. Some people with homes in our village may work from home or in the village or work part-time in the city. Our village is located at Narara, a little over an hour north of Sydney and 20 minutes from the coast. We aim to build positive and inclusive relationships with our neighbours, other parts of Australia and the World. Our village and our processes will be a showcase and teaching ground for interested visitors. We will endeavour to inspire others to live more lightly on the earth and show that it is possible without compromising a comfortable, mainstream lifestyle. The look of our village will be clean, green, modern, quality and organised. There will be a good mix of public and private space. Our village aims to actively promote physical, emotional and spiritual wellbeing. We will pursue activities and facilities to develop good health. These will develop and change over time, and include both residents and guests. We aim to develop a business centre to encourage and nurture enterprises set up in our village – so that people can live, work and play here. We plan is to establish a system of caring so that you will know what will happen in the event of a dramatic life change e.g. your partner should die, you become dependently sick, you have an accident, you need permanent care or you need temporary assistance. We aim to develop a system of caring that will be agreed upon, documented and implemented. We will set up flexible systems to oversee the necessary changes to our evolving village and to encourage ongoing, fresh initiative and enterprise. We will support a diversity of activities, new thoughts and perspectives to keep the energy of the village alive.